The SONIC Full Race is optimized for competition with merciless performance on all terrains (Water, Land & Snow). 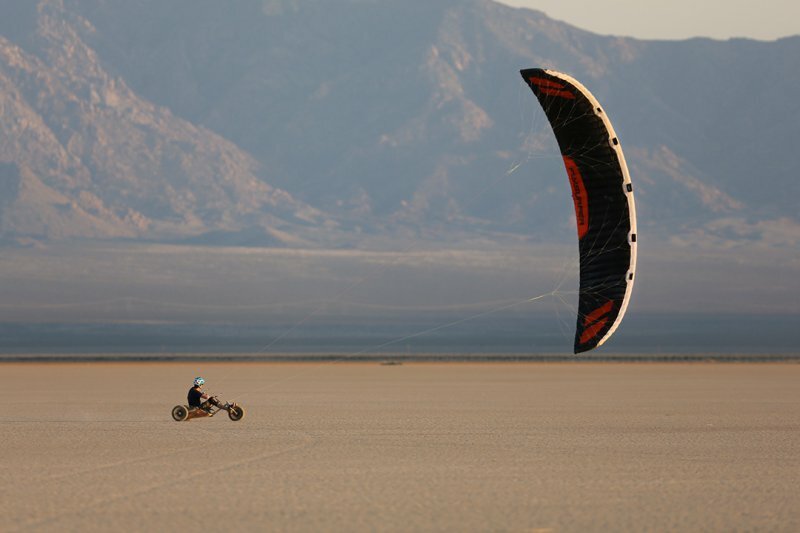 The sheer force of this pure racing machine, gives you speed thrills, goosebumps and more, with the kite cutting through air at angles into the wind never seen before. 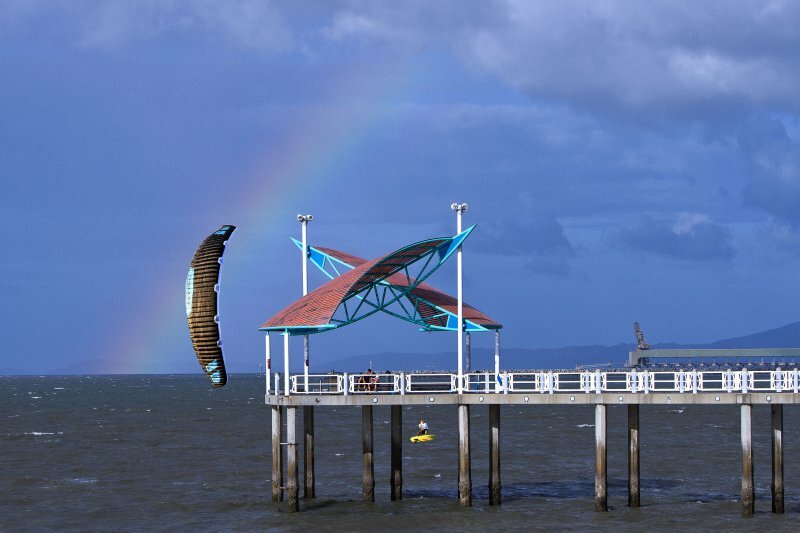 The most extreme lift and hangtime any Flysurfer kite has ever delivered, is now combined with sophisticated handling, in a unique super high aspect- ratio, closed-cell ram-air foilkite. Only the best and most optimized fabrics have been used to achieve maximum performance, minimum weight and incredible stability. 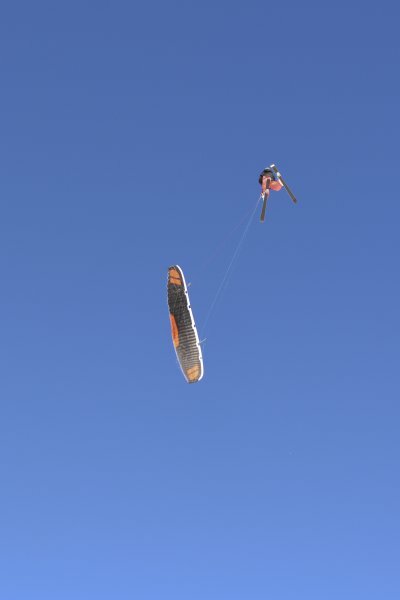 Its engineers worked in conjunction with the best hydrofoiling and snowkite athletes to sculpt this amazing wing. 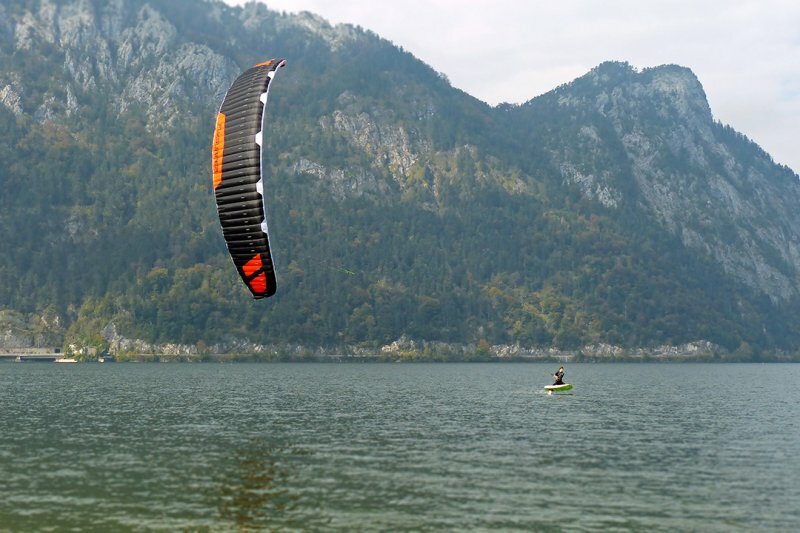 Together with the most advanced technology available from our paragliding department, we were able to achieve the most powerful and performance orientated race kite. The Sonic FR is the pure expression of Flysurfers DNA. Innovation, Aesthetics and Performance. Choose the SONIC-FR in sizes 9m, 11m, 15m, or 18m together with the optional Infinity 3.0 Race Control Bar PRO or Infinity 3.0 Airstyle Control Bar. Experience the buzz of extreme lift to drag ratio. 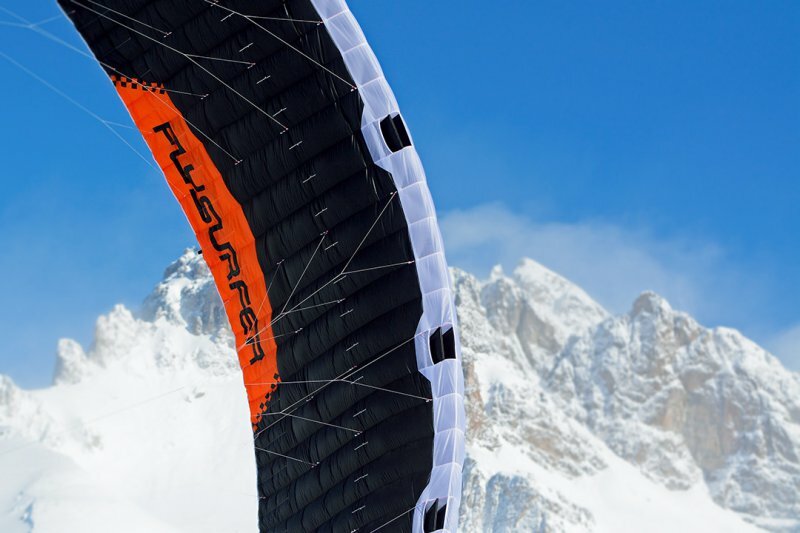 The most performance orientated Flysurfer kite to date, accelerate at breathtaking speeds and experience extreme lift and hangtime, but still count on sophisticated handling of the kite. 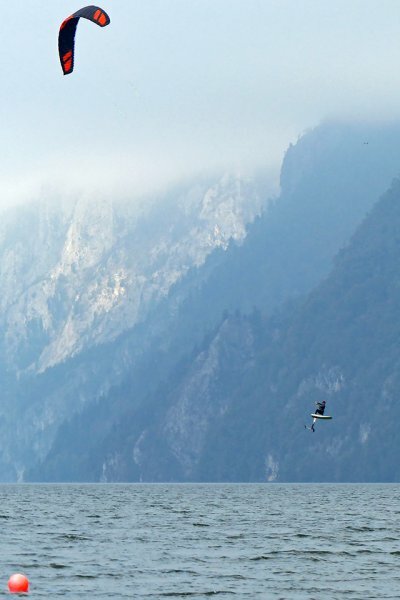 Hydrofoil and formula board riders will love the SONIC-FR. It is insanely fast and delivers amazing low- and high end performance. 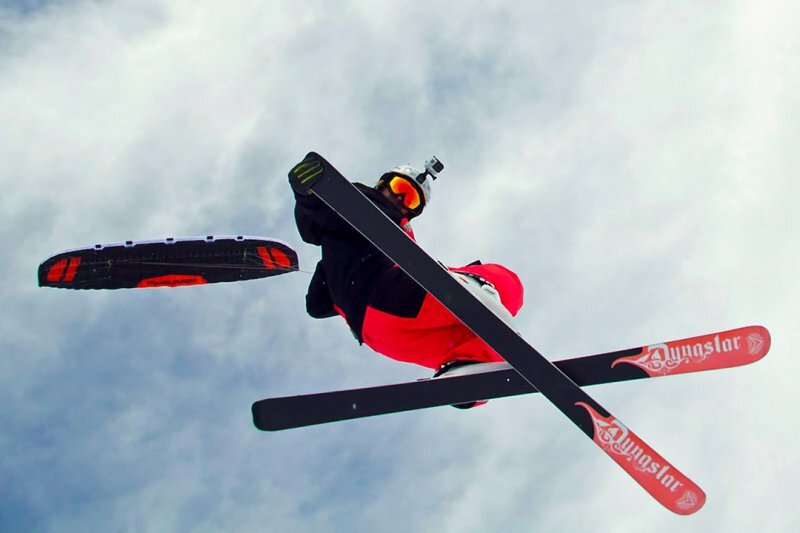 For twintip riders it opens up a whole new dimension for airstyle tricks. 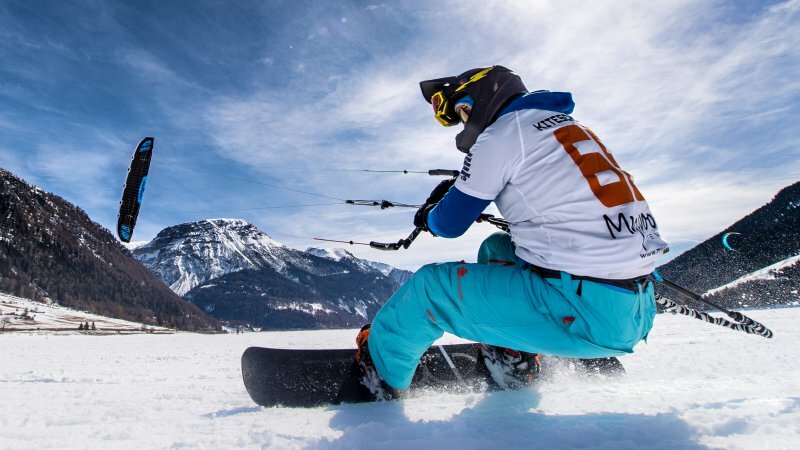 In turbulent or gusty winds the BOOST would be easier to use and handle for both freeriding and racing when compared to the SONIC-FR. Double Cordwise Ballooning is minimizing the creasing of the cells on the SONIC-FR to an absolute minimum. With exactly calculated arc-shaped panel cuts, double-stitched and glued seams a perfectly smooth, high performance airfoil is created. Instead of classic Mylar reinforcements, the SONIC-FR uses Rigid Foil Technology to reduce wrinkles on the leading edge. 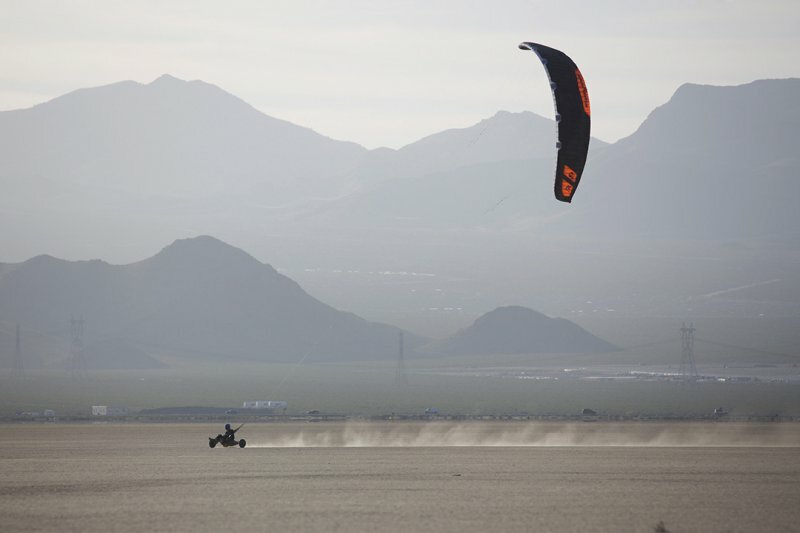 This results in reduced aerodynamic drag and enhanced kite stability. Rigid Foils are are also used to stiffen the trailing edge of the kite canopy. As a result, the SONIC-FR translates every gust of wind into propulsion without deforming the canopy. 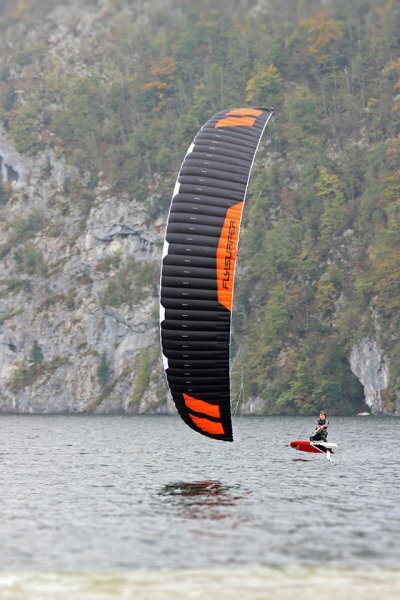 Thanks to the Rigid Foil Ribs the kite canopy is stiffer and more dynamic, but remains light and has minimal pack size because of the great flexibility of the R.F.T. To optimize the airfoil, the number of cells on the trailing edge has been doubled. 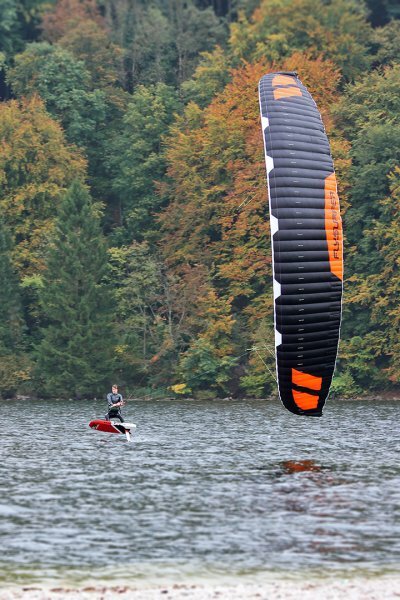 This gives the SONIC-FR a razor-sharp trailing edge, otherwise known only from competition paragliders. Drag is reduced and the kite remains light. The M.P.V in the leading edge center provide maximum air pressure inside the kite. 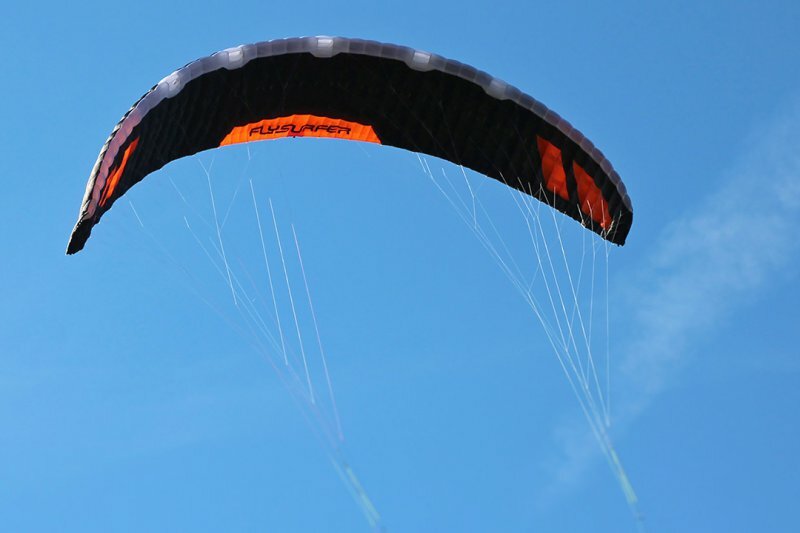 The kite fills fast and accelerates even when fully depowered. Through the double valves in the center area, the dynamic pressure is always there, where it is needed. A moving separator inside the valve carries the airflow directly into the kite, regardless of angle of attack. Therefor the SONIC-FR is stiffer, more responsive and stable. Thanks to our cooperation with Liros and a new ultra high-strength Dyneema SK99 fiber core, we have developed new, significantly thinner race lines, which are now used for the first time in the SONIC-FR. The front lines have only 1.45mm thickness and 300kg breaking load, the back lines an amazing 0.8mm thickness and 160kg breaking load. The completely unsleeved dyneema bridle is correspondingly even thinner. During the development of SONIC-FR, Lotus cloth and Deluxe cloth were constantly compared in 1:1 tests. Deluxe cloth is stiffer, accelerates a tiny bit better and is more responsive, after numerous benchmark tests, no loss in performance or speed was observed. Thanks to Double Cordwise Ballooning and Rigid Foil Technology we have found a technical solution that eliminates the slight weight penalty and wrinkling of the Deluxe cloth. Different fabrics are used for internal ribs, v-cells and straps since airtightness is less significant here, but diagonal stiffness is important. The SONIC-FR top and bottom sail fabric are deluxe cloth, which has no disadvantage in performance and pricing is not increased unnecessarily. 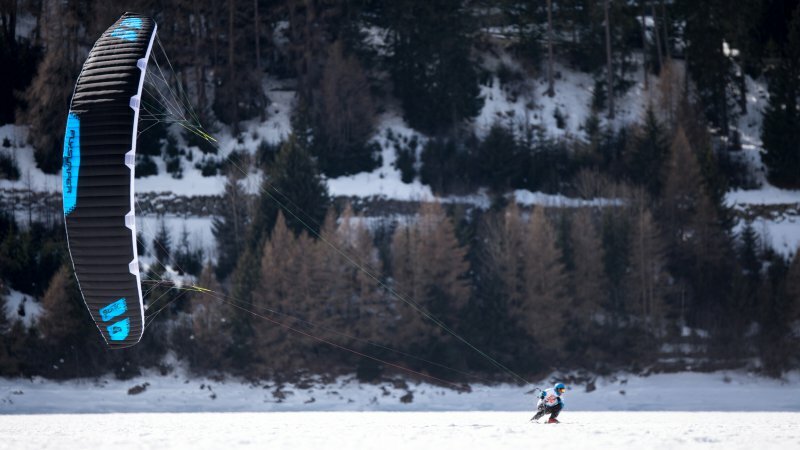 Flysurfer is passionate about kite-racing and has registered the SONIC-FR kite officially. This allows you to attend every official IKA racing event. Should sand or water get into the kite, it will automatically be expelled from the kite by the „dirt&water“ drainage system, which is integrated into the canopy of the SONIC-FR. 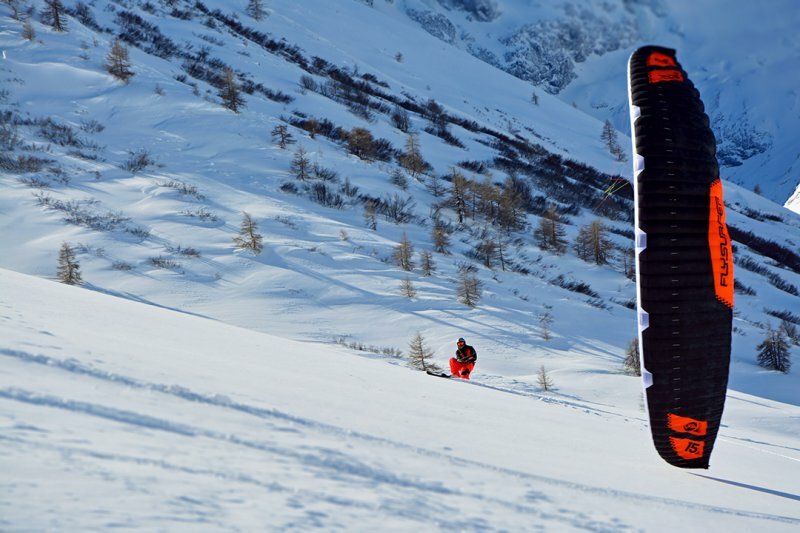 Each cloth, each line and each component has been tested extensively by Flysurfer. 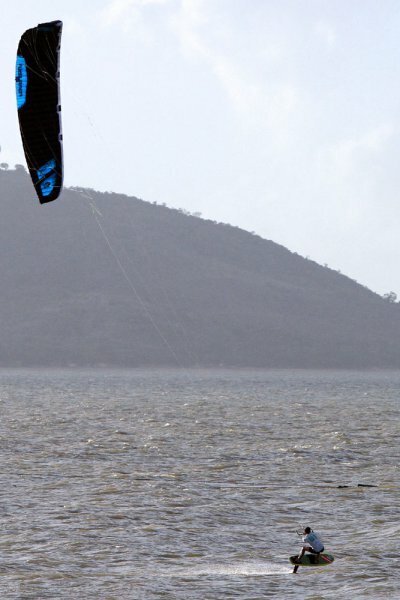 We constantly create more work for ourselves in order to guarantee pure worry-free kiting fun. When it comes to materials and components, we always go for quality and functionality over price. The Wind Range Chart is to be used as a point of reference. It is based on a rider who weighs around 75kg (165lbs.) 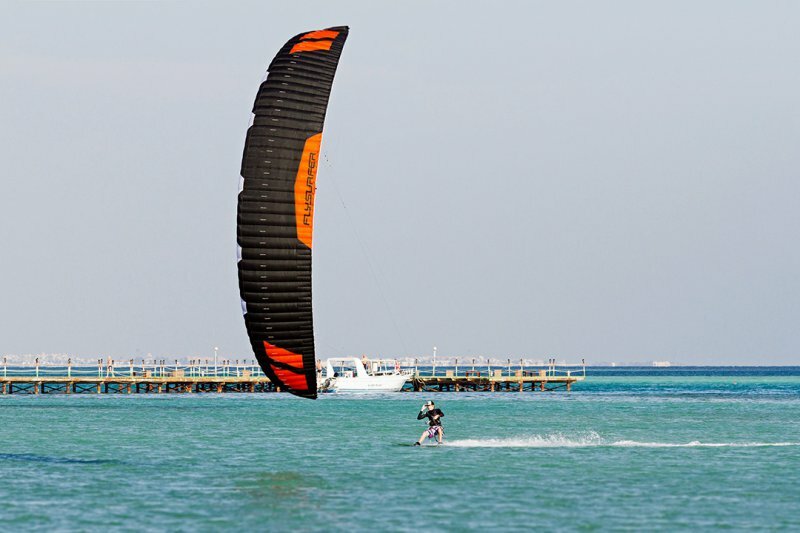 Actual use will vary depending on your weight, skill level, board size and the wind conditions on the Water or Land. When choosing the Kite size always use common sense and always choose a smaller size if you are not sure, especially when using the kite on land.